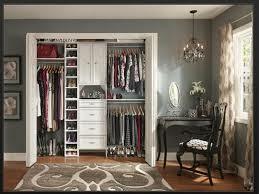 If you have a spare room in your house, you can easily turn it into a walk-in closet. Besides, it is not so complicated as it seems to be at a glimpse. If you have not the vaguest idea how to do this, you can defer to the services of Closet Solution – a well-known and reliable Canadian company, specializing in designing and projecting various closet systems. The designers of this company will help you project your walk-in closet, following your recommendations. In this review, we wish to show you that the process of turning a room into a walk-in closet is not a huge and complicated task. 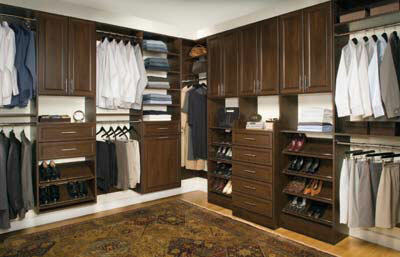 If handled properly, you will create an awesome closet, which will help you store things in order. You can always do this project yourself – everything depends on your desire, budget and the look of the room you want to achieve. Look through our tips, allowing you to structure the information. Besides, you will know from what to start. Do you have windows in this room? If yes, you should pay attention to the following factors. Though windows are the source of additional illumination, it is not good if this room has too many windows. Too much sunlight fades clothes. Besides, many windows reduce the amount of space for closet systems. There are two basic types of closet systems: floor mounted and wall mounted. Wall-mounted closets are fixed to the wall. Floor-mounted ones get their support from the floor (though they are also fixed to the wall). You should choose the one, which will be suitable for you and your budget. If you don’t want to pay the extra money and look for cheap variants, you should select wall-mounted systems. As a rule, floor-mounted systems are made from particleboard panels covered with melamine. Therethrough, they are more expensive. Besides, these systems can be adapted to almost any style of the room. If you are greatly concerned over the question what type of a closet system to choose, Closet Solution will help you find the answer to it. Nowadays, modern closet systems are equipped with LEDs. LED strip lighting uses less electricity and can easily be surface mounted. Besides, they produce less heat and do not require ceiling access. Now you know from what to start turning your spare room into a walk-in closet. You can always do it yourself, but if you consider that you will not cope with this task or you are pressed for time, welcome to Closet Solution – specialists of this company will design an ideal closet for you!